Everything Is Connected...IF you have the tools and skills to relate what isn't understood to what is known. The key - making the right connections at the right times, the right way - unlocks your mind AND heart.This reference book for life helps make everything you read and do, work better. It shows you how to learn and master the life comprehension and transformation skills that experts possess, from the way they write and speak. 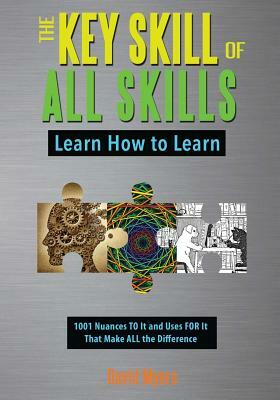 You will put more and more pieces of that puzzle together, in ever new ways, the better you understand the process.Learning how to learn impacts your work and personal life regardless of your age, education or career. The 10 Lessons provide direct applications to every facet of life. Each influences the others, so your improvement is accelerated.Many other books and experts connect the dots for you as they deliver their advice. But there is limited understanding of how to apply the process they use to your own life and communicate better with it, the way children fill in spaces outlined in a coloring book: a Coloring Book for Thinking.Take the journey. Unlock the mystery of how to learn and communicate. Discover and put the pieces of your puzzle together, each moment. This process will create opportunity for you to get more out of every aspect of your life.